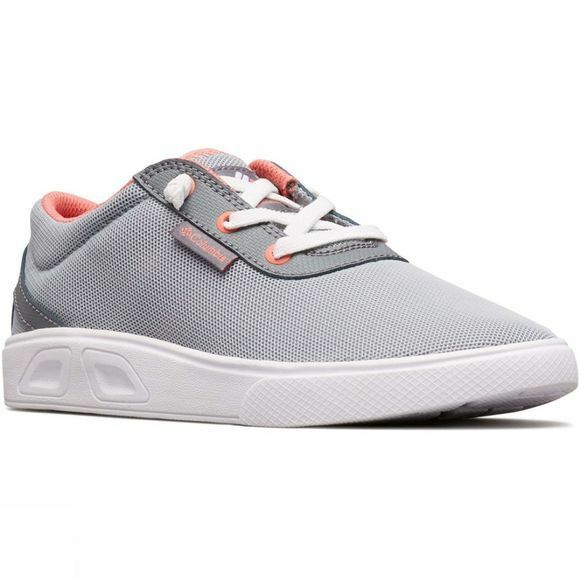 This Columbia sneaker is a great add to your kids summer kit. The upper is constructed with a combination of mesh and synthetic and features elastic laces while the lightweight midsole provides superior cushioning for comfort. With EVA-molded outsole. Combination mesh and synthetic with elastic gore faux laces.